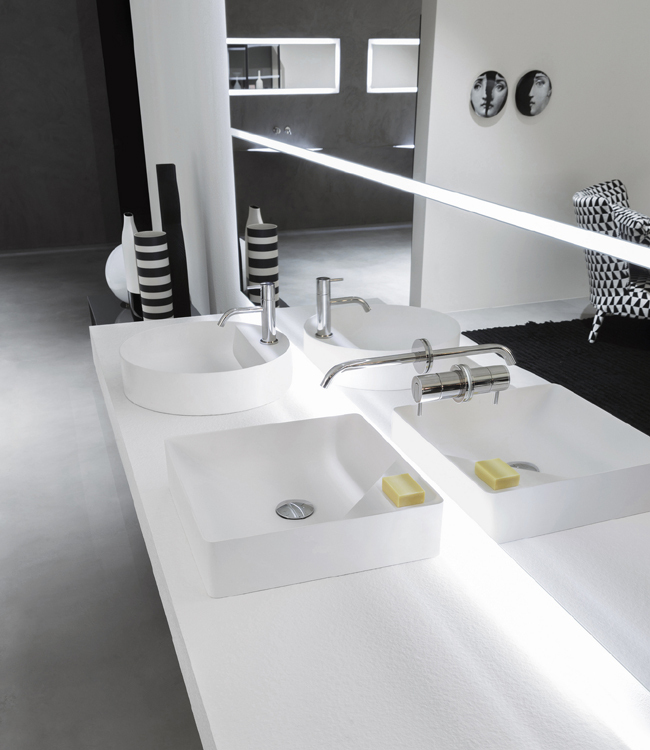 An element, the surface for accessories, that is always a friend of the basin. 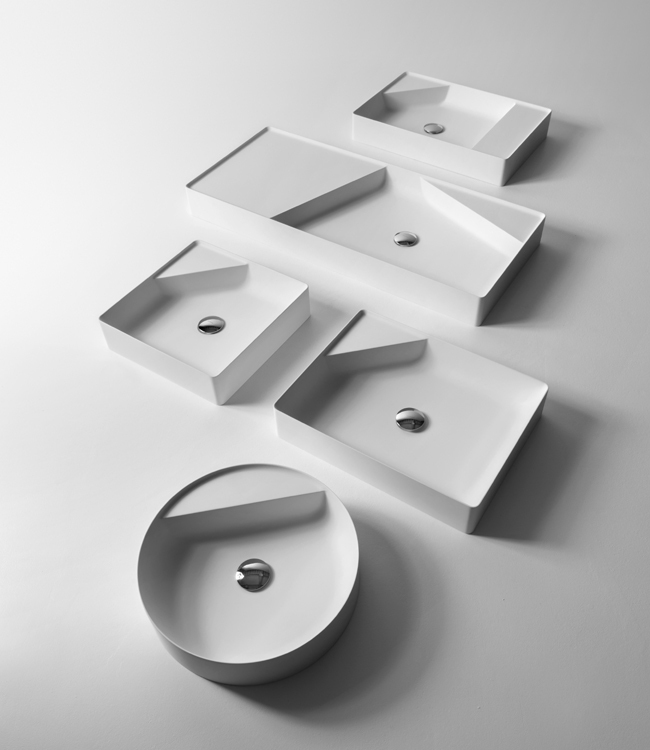 A functional presence, necessary due to its daily usage, generates a new form, an essence of the project itself. 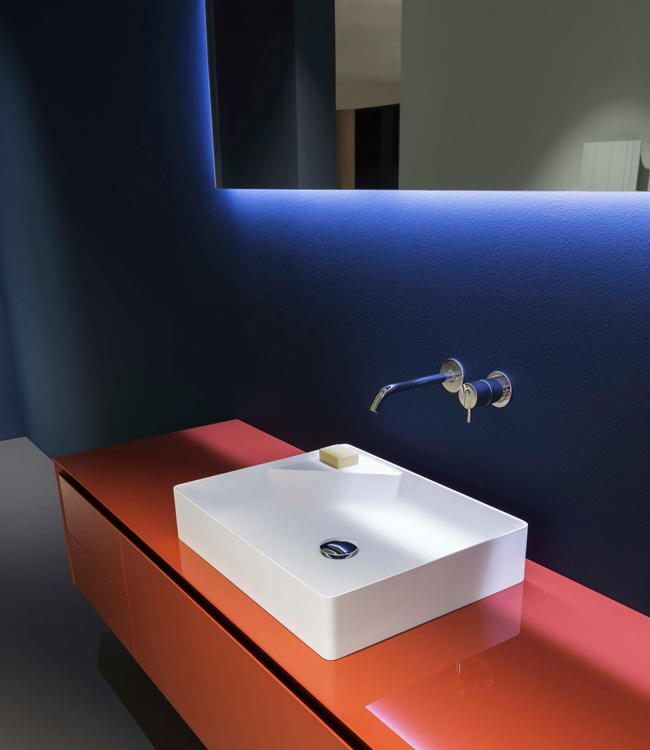 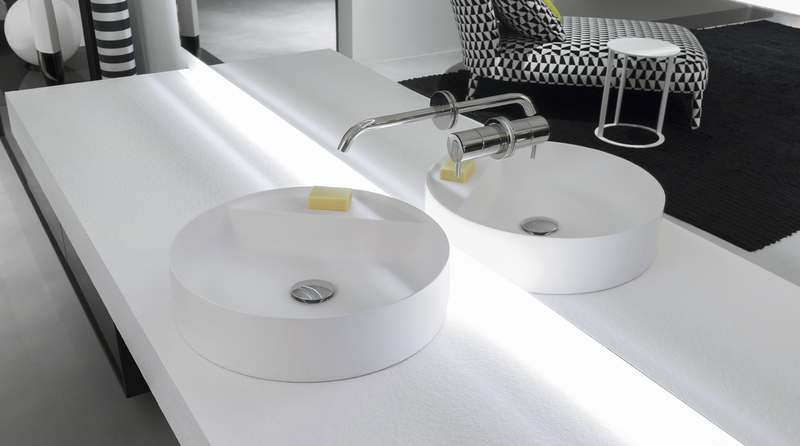 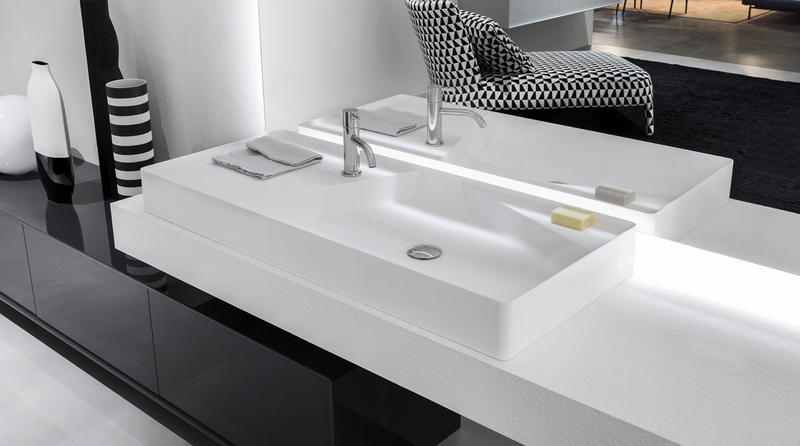 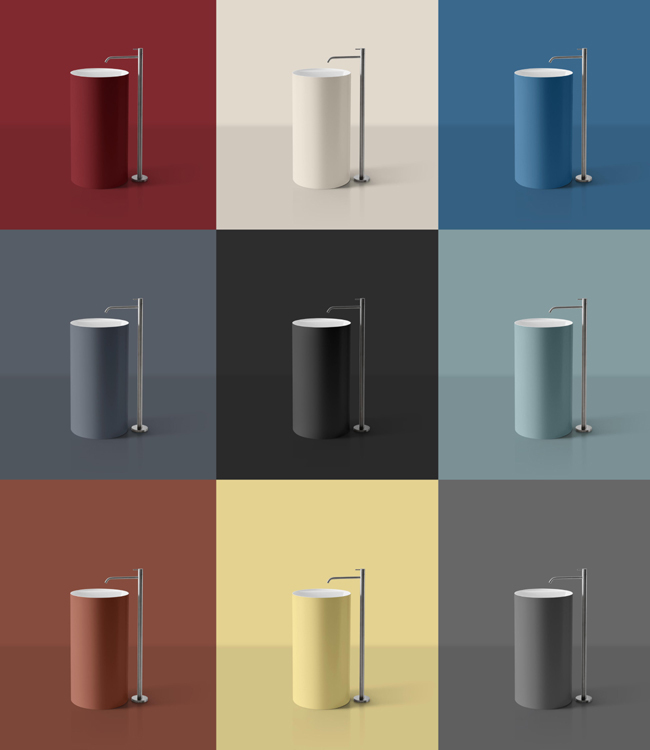 Simplo is a complete family of washbasins made of Flumood in which part of the basin is occupied by a surface. 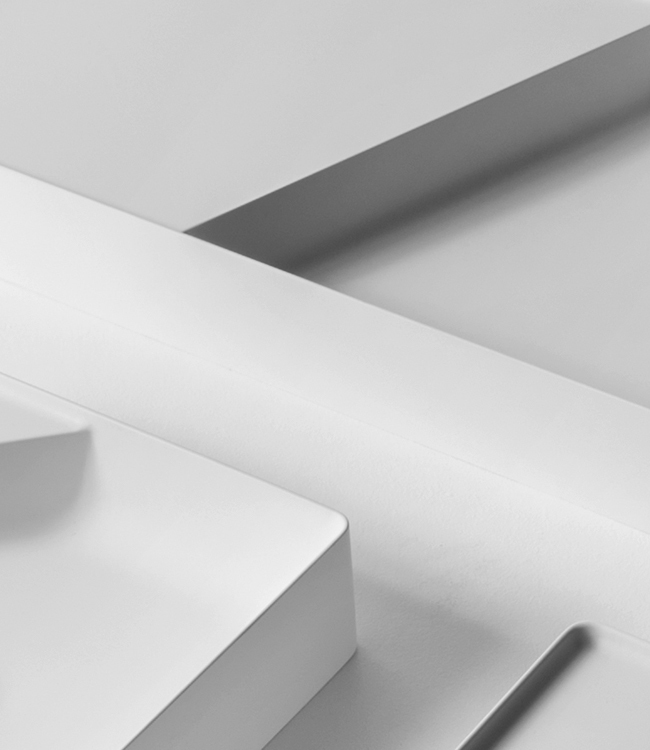 Sometimes it cuts off a corner, others divide the space diagonally and in another case it follows one of the parallel sides. This surface generates a new useful volume and transforms round, square and rectangular basins with thin edges into formal compositions. 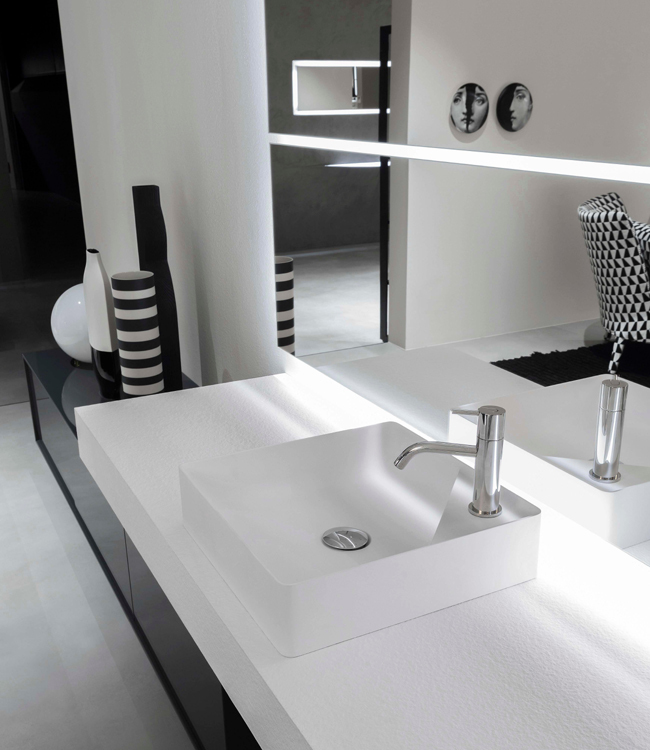 This accessory becomes the protagonist and functionality becomes form.